Janet’s Donut Shop was located on the east end of the strip, next to Cook’s Waffle and Pancake Shop. The business operated in the early 1950s. The shop was located in a 12-by-24-foot structure known as The Stand and owned by Giles Cook. Janet’s Donut Shop had a short run; competing against very successful and well-established Madsen’s Donuts was a huge challenge. 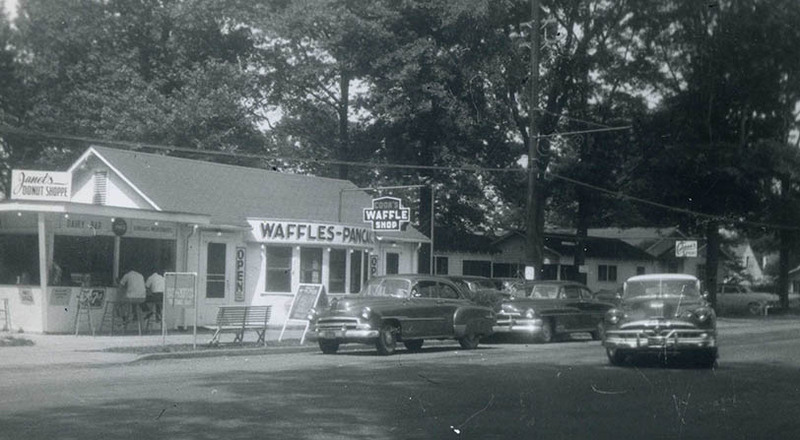 Janet’s closed in 1953; the following year, Louis A. DiFabio, 19, rented The Stand, renamed it LAD’s Grille and started a restaurant career that would last more than 30 years. Janet’s Donuts is seen on the left side of this photo from the collection of Louis A. DiFabio.